Description: The BSU Stueckle Center and Skybox expansion was a six-story, high-rise Design-Build project at Bronco Stadium. It is considered one of the premier entertainment and sporting venues in the West, and overlooks the world famous blue turf of Bronco Stadium. 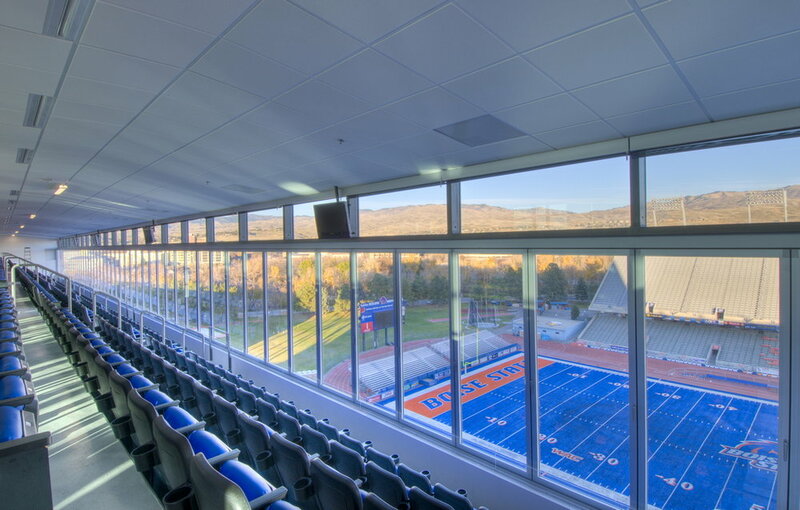 The four spectator levels include 48 "loge" boxes, 832 club seats, 39 sky suites and game/media operations for Boise State home football games. Additionally, five individual banquet style or meeting room spaces top the stadium, including the RR Ranch Club, in the 131,000 square foot Stueckle Sky Center facility, allowing it to host a wide array of special events besides game day operations, including weddings and fundraising banquets.